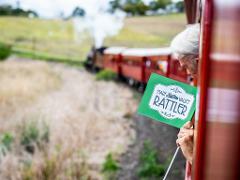 Give the gift of the Mary Valley Rattler! 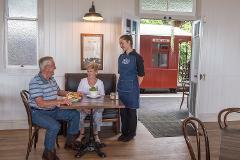 Gift vouchers can be used for travel on the Mary Valley Rattler. This gift voucher entitles you to one VIP Club Car Experience. Give the gift of the Mary Valley Rattler! 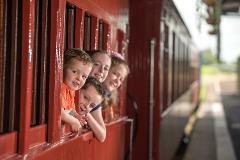 Gift vouchers can be used for travel on the Mary Valley Rattler. 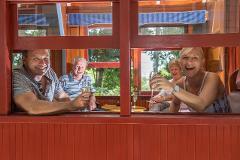 This Gift Voucher entitles you to one Family Pass. 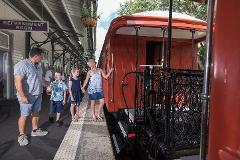 Give the gift of the Mary Valley Rattler! Valid for travel on the Mary Valley Rattler for a single return Child Fare (4-12 Years Old). Give the gift of the Mary Valley Rattler! Valid for travel on the Mary Valley Rattler for a single return Concession fare. Give the gift of the Mary Valley Rattler! Valid for travel on the Mary Valley Rattler for a single return Adult fare.